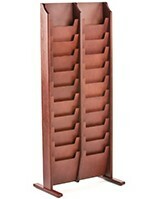 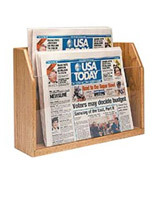 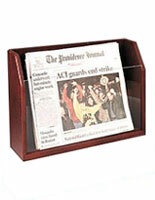 This wooden newspaper rack is constructed of oak and acrylic with one pocket for periodicals. 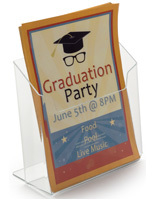 This trifold stand has a simple design that looks great in an office, or on a shop countertop. 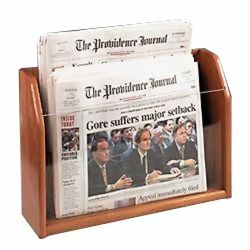 This newspaper rack for literature is among our most popular store fixtures. 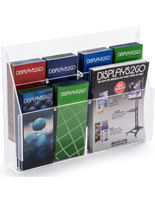 Advertise your brand and services to the public using this well designed displays system. 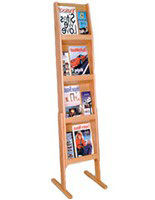 This rack, also known as a magazine stand, is built to last!